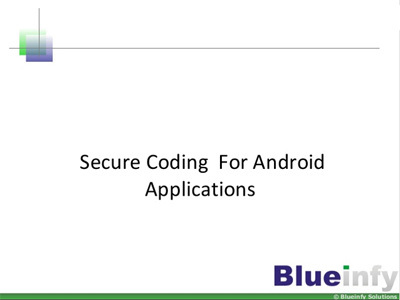 We, at Blueinfy, a company founded by globally recognised security experts and researchers, specialize in software security with a clear strategic focus. We add value to your organization by virtually becoming your extended arm in securing your applications with best-in-class quality and efficiency. We achieve this through continually evolving state-of-the-art know-how built by enhancing methodologies, evolving tools and researching technologies. This competence is derived from the three pillars of research, training and assessment experience reinforcing each other in our committed organizational environment. Our dedicated team of certified experts has years of focused experience in penetration testing & code review including services provided to global Fortune 500 customers as well as global security assessment companies. Our team’s customer focus and nimble footedness also enable us to provide superior and faster customer service. 90% of applications have one or more types of vulnerabilities that pose major threats from attackers who may exploit them to breach their security. Since automated scanning proves inadequate in uncovering all exploitable vulnerabilities, our Application Penetration Testing Service complements this with manual testing powered by expert human intelligence. It is a Black-Box assessment approach. Our methodology (detailed here) is implemented using systems and processes developed based on years of focused experience in assessment, research and training in DAST. Research - Leading to continuous development of tools, technologies, attacks, defense strategies, papers, presentations, etc. to support our customers and industry. Your application security is our concern. 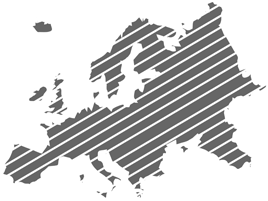 We deliver maximum possible application assessment coverage and accuracy. Based on our detailed actionable report, we guide, help and strive to ensure that your risk is mitigated by fixing weaknesses. Our commitment and response time will make you feel that we are a part of you. Mobile applications are inherently complex in nature. They are composed of two broad components – one running on the phone/mobile devices which is responsible primarily for presentation and client side logic and the other running on the server side which is responsible for business logic. We carry out an extremely thorough and accurate assessment of both components and discover potential vulnerabilities that can be exploited by attackers. By analyzing the nature of the application and the platform, we create a threat model, attack vectors and various exploit scenarios. We have developed our own tools and scripts to perform reverse engineering, protocol analysis and fuzzing in order to discover vulnerabilities. It is imperative to analyze architecture, design and implementation of mobile application and various access controls and services before launching the application. 90% of applications have one or more types of vulnerabilities that pose major threats from attackers who may exploit them to breach their security. The root cause of these vulnerabilities resides in the code layer. Source code written poorly from a security standpoint opens up exploitable vulnerabilities. Our Code Review Service uses semi-automated tools in combination with expert human intelligence. 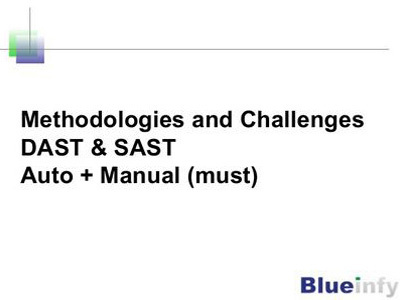 It is a White-Box assessment approach using SAST methodology. Our methodology (detailed here) is implemented using systems and processes developed based on years of focused experience in assessment, research and training in SAST. 90% of applications have one or more types of vulnerabilities that pose major threats from attackers who may exploit them to breach their security. Before writing the code and building the application it is necessary to review the architecture security of the application. We provide this service to our customers thus enabling them to identify possible threats and build defenses right at the beginning of the SDLC. We create a report identifying the architecture layer weaknesses and suggesting a possible defense plan for the application. 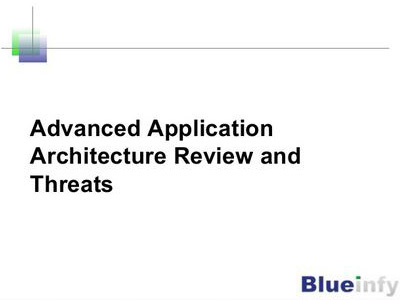 Developers can use this report to implement mitigation strategies to build a solid and secure application. An increasing number of companies these days are using agile development methodology for their applications to better serve business requirements. Here, the number of release cycles per unit time is very high and one of the biggest challenges for their security teams is to ensure security assessment of these applications in pace with their rapid development in a highly dynamic world. To address this challenge, we have designed a special service suited to review applications developed with agile methodology needing far more frequent security attention compared to traditional applications. It has been realized by many corporates that “training and awareness” is the first line of defense for application security. Developers, QA testers, Software Architects, Administrators and Executives need to empower themselves with solid knowledge of software security. It is imperative to have knowledge of attack vectors, exploits and defense strategies at all levels of corporate staff. Besides trainings delivered at industry accepted conferences, we also provide unique customized trainings for corporates that meet their exact needs. We develop such customized trainings based on a thorough study of the technologies, libraries and methodologies used by the customer. Our training courses have been developed by an author of popular books like “Web Hacking”, “Hacking Web Services” and “Web 2.0 Security - Defending Ajax, RIA and SOA”. 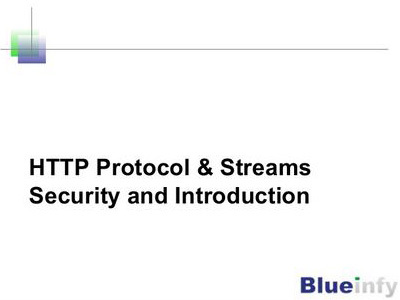 These training courses address the current needs for application layer security. The courses are “hands on” and can be conducted in 2 to 4 days of training sessions. These popular courses have been conducted world-wide and have gained appreciation from various corporate customers. Our customised trainings are developed specifically to suit your exact needs so that you can enhance the security capabilities of your development teams and ensure minimization of security weaknesses from the code development stage itself. 90% of applications have one or more types of vulnerabilities that pose major threats from attackers who may exploit them to breach their security. Hence applications like web, mobile and APIs need one-time and/or on-going scanning to identify such potential vulnerabilities. This service provides automated scanning, monitored and validated with minimum essential well-configured human intelligence. This produces accurate and actionable results for mitigation and defence with respect to possible vulnerabilities. Our methodology (detailed here) is implemented using automated scanners (combination of open source, commercial and proprietary) backed with a minimum of human intelligence using systems and processes developed based on years of focused experience in assessment, research and training in DAST. Experience - Thousands of applications and millions of lines of code analyzed and assessed for global customers including Fortune 500 companies as well as security assessment companies; Research based development for commercial and popular automated application scanners. Research - Leading to continuous development of tools, technologies, attacks, defence strategies, papers, presentations, etc. to support our customers and industry. Companies are using automated scanners (DAST/SAST) regularly and these generate exhaustive reports with a large list of vulnerabilities. Almost always, these generated lists contain a large number of false positives, both in DAST and SAST scans. These false positives create a lot of unnecessary confusion for developers and administrators. It is imperative to remove these false positives to build an accurate actionable report for the development team. In this service, we provide false positive removal and report enhancement on any previously carried out automated scan done by commercial/open-source products/tools/service. We deliver maximum possible accuracy. Our service will best guide, help and strive to ensure that your risk is mitigated by your development team most efficiently by needing to fix only real weaknesses. 90% of applications have one or more types of vulnerabilities that pose major threats from attackers who may exploit them to breach their security. Applications like web, mobile and APIs use cryptography for security purpose and apply secure coding principles. This service provides security guidelines for this to help the development team build secure software. We can also take insecure code and build security controls around it. Our service will best guide, help and strive to ensure that your risk is reduced by your development team most efficiently at the coding stage itself. 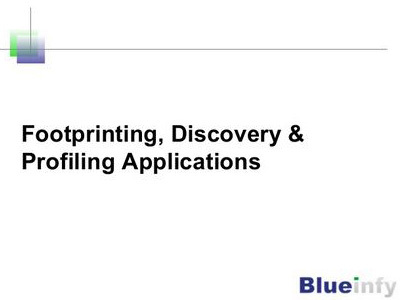 Application Footprinting – It is important to first identify all applications running on a particular customer’s infrastructure with zero knowledge. We use our tools and methods to identify IP blocks, Hosts, Domains, Cross-domains and Child-domains. This helps in listing out all possible targets. Application Discovery – In this phase, we identify all live and functional application sets so that we can then move to enumeration, profiling and threat modeling for each of the applications running on the customer’s infrastructure. Application Enumeration and Profiling – We run various tools against each target application and enumerate the entire application along with entry points and attributes for each of the resources residing on the application. This helps in profiling the entire application along with modules, functionalities, HTTP streams (JSON, XML, AMF etc.) and resource attributes. Application Threat Modeling – For this, we go over the application in great detail and map critical functionalities. This set of functionalities helps in building a map of objectives, dependencies, types of servers (web, application and database), roles, components, third-party blocks, communication streams and use cases. We then create a possible threat matrix on the basis of application functionalities and come up with possible attack vectors and libraries. Sample Security Control Categories – Authentication, Access Controls/Authorization, API misuse, Path traversal, Sensitive information leakage, Error handling, Session management, Protocol abuse, Input validations, Cross Site Scripting (XSS), Cross Site Request Forgery (CSRF), Logic bypass, Insecure crypto, Denial of Services, Malicious Code Injection, SQL injection, XPATH and LDAP injections, OS command injection, Parameter manipulations, Bruteforce, Buffer Overflow, Format string, HTTP response splitting, HTTP replay, XML injection, Canonicalization, Logging and auditing etc. Vulnerability Assessment – On the basis of resource attributes and control categories, a thorough vulnerability assessment is performed using human intelligence with the help of supportive semi-automatic and automatic tools. This detects the vulnerabilities residing in the applications, thus giving the actionable item list from application security standpoint. Vulnerability Exploitation – Penetration testing and attempted exploitation of discovered vulnerabilities is performed to detect and determine the severity of possible impact and potential risk exposure. Mitigation Strategies – On the basis of overall findings in terms of vulnerabilities, weaknesses and risks and on the basis of architecture and best practices, we build a comprehensive plan for mitigation along with recommendations. 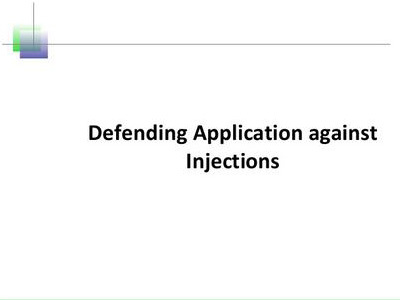 This is a set of strategies needed to be implemented to secure the application. Application Threat Modeling – First each application is studied in detail and critical information is mapped. This information set includes objectives, dependencies, types of servers (web, application and database), roles, components, third-party blocks and use cases. This information helps in identifying the possible threat matrix on the basis of app specific possible attack vectors and libraries. Application Code Enumeration – Then source code is enumerated in terms of languages, dependencies and structure. 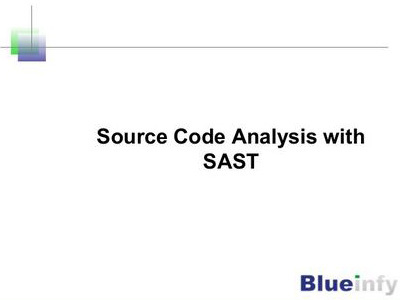 This reveals the overall application architecture of the source code and operational details. Application Code Mapping and Functionality – Application code is mapped on the basis of algorithms, functionality, security controls and modules. This gives a good idea of the logical flows and internetworking aspects. This will define high value targets like database access layer or authentication module. Security Control and Test Cases – On the basis of application mapping and functionality we build a large set of possible test cases and security controls required for the application with respect to its source code. 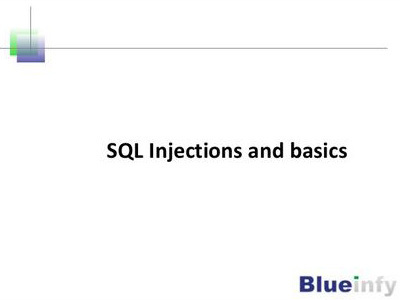 This helps in building all testing methods and pattern reorganization against vulnerabilities. Security Control Categories – Authentication, Access Controls/Authorization, API misuse, Path traversal, Sensitive information leakage, Error handling, Session management, Protocol abuse, Input validations, Cross Site Scripting (XSS), Cross Site Request Forgery (CSRF), Logic bypass, Insecure crypto, Denial of Services, Malicious Code Injection, SQL injection, XPATH and LDAP injections, OS command injection, Parameter manipulations, Bruteforce, Buffer Overflow, Format string, HTTP response splitting, HTTP replay, XML injection, Canonicalization, Logging and auditing. Entry Point Discoveries – This is the key aspect for secure coding. We identify all possible entry points to the application source code and then evaluate their impact on security posture. We run our own tools to fetch these entry points buried in the source code. Class, Function and Variable Tracing – On the basis of entry points, we trace the interaction between classes, methods and variables. In this way we can trace the security impact of each of these entry points in detail. 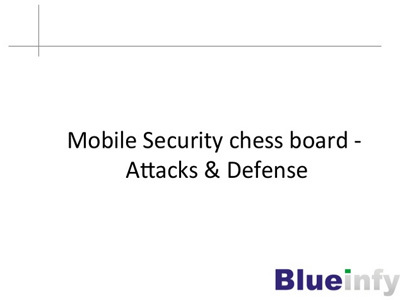 This phase helps in identifying vulnerabilities. Vulnerability Detection – On the basis of detailed tracing and security best practices, we discover vulnerabilities. These vulnerabilities are categorized based on their risk impact and severity. Mitigation Controls – It is imperative to secure the code around all discovered vulnerabilities. A mitigation plan is formulated and possible secure coding templates and snippets are provided as part of our report. Reporting – All observations, findings and test sets are reported in the final document. We include an overall severity/impact rating for all different findings. The report will cover findings with details, their severity and impact, recommendations, and references. We also map these findings to OWASP, WASC, MITRE, SANS, and such other industry standards to get a better comparative idea of the results. Server Side Application Footprinting – It is important to first identify all applications running on a particular customer’s infrastructure with zero knowledge. We use our tools and methods to identify IP blocks, Hosts, Domains, Cross-domains and Child-domains. This helps in listing out all possible targets being contacted by the Mobile application. Mobile Application Footprinting – When the application gets loaded on a mobile device it has certain footprints on the device such as file systems, network access, permissions, key chains, stores, certificates etc. It is also important to collect and identify the mobile surface to understand the application’s full impact. So we use tools to identify this footprint and surface. Application Discovery – In this phase we identify all live and functional Mobile applications and their platforms running on the customer’s infrastructure. We identify how the mobile applications communicate with the server and identify web services or other server side calls from the Mobile applications. This information helps in enumeration, profiling and creation of a threat matrix for security review. Application Enumeration and Profiling – Then we run various tools against each target application and enumerate the entire application along with entry points and attributes for each of the resources residing on the application. We check for sensitive information files on mobile devices and temporary storage, for permissions required for applications, and code signing mechanisms for mobile devices. This helps in profiling the entire application along with modules, functionalities and resource attributes. Application Deployment Assessment – Application deployment configurations, access rights and file systems are assessed for the Mobile device as well as web, application and database servers for their security. Security Control and Test Cases – On the basis of profiling and thread modelling, we build a large set of possible test cases and security controls required for the applications. 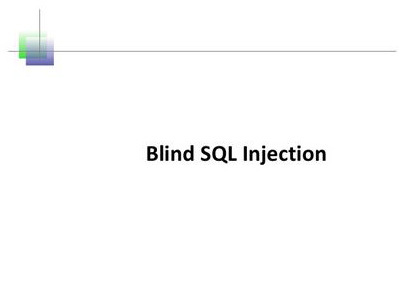 This helps in building up all testing methods against vulnerabilities. Security Control Categories for Server Side Application – Authentication, Access Controls/Authorization, API misuse, Path traversal, Sensitive information leakage, Error handling, Session management, Protocol abuse, Input validations, Cross Site Scripting (XSS), Cross Site Request Forgery (CSRF), Logic bypass, Insecure crypto, Denial of Services, Malicious Code Injection, SQL injection, XPATH and LDAP injections, OS command injection, Parameter manipulations, Bruteforce, Buffer Overflow, Format string, HTTP response splitting, HTTP replay, XML injection, Canonicalization, Logging and auditing. Vulnerability Assessment – On the basis of resource attributes and control categories, a thorough vulnerability assessment is performed using human intelligence with the help of supportive semi-automatic and automatic tools. This detects the vulnerabilities residing in the applications (both server and Mobile application), thus giving the actionable item list from application security standpoint. Exploitation and Pen-testing – Penetration testing and attempted exploitation of discovered vulnerabilities is performed to detect and determine the severity of possible impact and potential risk exposure. Mitigation Strategies – On the basis of overall findings in terms of vulnerabilities, weaknesses and risks and on the basis of architecture and best practices, we build a comprehensive plan for mitigation along with recommendations. This is a set of strategies needed to be implemented to secure the application (both server side and Mobile application). Reporting – All observations, findings and test sets are reported in the final document. We include an overall severity/impact rating for all different findings. The report will cover findings with details, their severity and impact, evidences, recommendations, and references. We also map these findings to OWASP, WASC, MITRE, SANS, and such other industry standards to get a better comparative idea of the results. 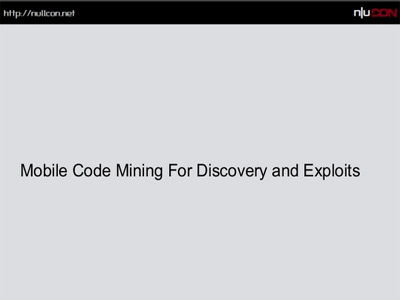 Mobile exploitation for fun and profit – Digging into the code and underneath! Want to control smart phones? 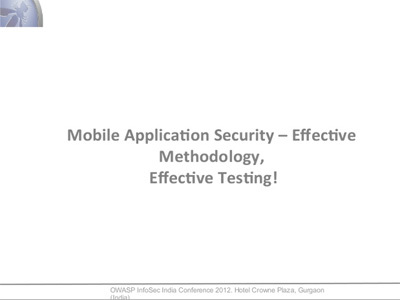 Mobile Application Security – Effective Methodology, Efficient Testing! Code Scanning - One needs to input the target code folder, an XML containing the rules (Supports regex pattern) and a list of file extensions to scan. It will take this information and run against the target folder in depth, scanning each line of the code for a matching pattern. If the expected pattern is found, the tool will report that line of code. Code Tracer - This utility helps in walking through the code base to trace the needed variable/method/function across its entire path in the large code, which aids in negating false positives from the identified pattern. This tool needs.NET framework support for its execution.. This tool is used in analysing application (web/mobile) .NET assemblies, thick client desktop or Silverlight applications during penetration testing. By analysing, it is possible to determine the internal logic by fetching a hardcoded string within their respective calls or functions. The fetched hardcoded strings like file-path, connection strings, usernames, passwords, crypto usages etc. help in enhancing guided testing across the application by building a threat model, which in turn helps in defining possible attack vectors and their target locations. IL Text helps in various scenarios where one can supply single or multiple assemblies and select options to grab strings along with their target calls. In the analysis phase, the tool will go to each function call step by step and also display the function names which are called internally. This allows the pen tester to get an idea about the context in which this API or string is implemented in the code. For example: - If one observes a string “test123” in the assembly, it is very difficult to figure out the context in which the string is used from the IL dump but if it is mapped to a function, say “Login” function, then it can be a hardcoded password or possible backdoor. Microsoft’s .NET framework includes two interfaces – IHTTPModule and IHTTPHandler. These two interfaces can be leveraged to provide application-level defence customized to application-level, folder-level or variable-level. This can act as the first line of defence, before any incoming request touches the Web Application source code level. 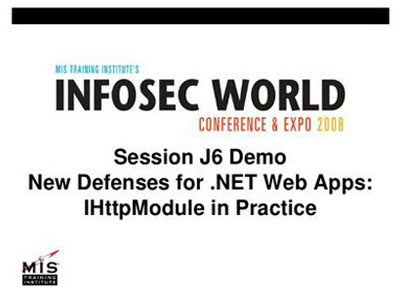 This is Web Application defence at the gates, for the .NET framework on IIS. Web2wall is a simple binary module which can be loaded on one’s Web 2.0 applications. One can defend the application layer code by using regex patterns; this can help in filtering XML and JSON streams. Convert the files to readable xml formats and the classes to .smali format. Convert .class files to readable java code. Check the code for possible vulnerabilities. Check the androidmanifest.xml for additional information. Android is one of the leading operating systems for smart phones and tablets with nearly 80% market share in the smart phone market. 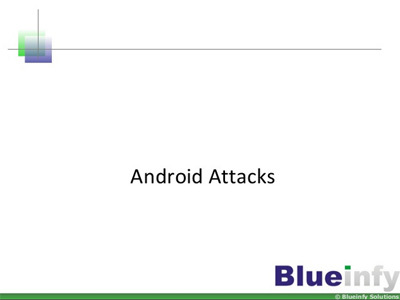 With the increase in the use of android, there is an increase in malware/attack agents attacking android users and devices with malicious code and intent. With this increase it is imperative to have information and a profile of the device from a system perspective. A periodic scan of the device will help a user to understand and analyse the changes made to the system over a certain period. DumpDroid is a tool that caters to this objective – it quickly scans and builds a profile of the device. DumpDroid collects information about the device’s current posture and provides a snapshot of the same to the user for analysis. It categorizes information into different sections i.e. OS information, running services information, hardware information, system application information, user installed applications, network information, browser information and call log information. One can quickly go through this report and identify the potential loopholes and permission issues. It marks the applications, of which it is suspicious about, having dangerous permissions so one can decide on its impact. DumpDroid allows running scan by customizing profile and scanning options. DumpDroid presents the report in a simple HTML format. One of the key attribute under ‘Application’ section in a manifest file is ‘Debuggable’ which describes whether the application is in debug mode or not. CheckDebuggable is a ruby script which takes an APK file, extracted using ‘Apktool’, as input to check whether the ‘Debuggable’ flag is set to true. Mobile application hacking and security is becoming a major concern in today’s world – especially with BYOD and user’s rooting their own devices. The release cycle of mobile applications is quite frequent compared to that of web applications making it imperative to test these applications from the security/privacy standpoint before launching them. Automated scanning of static/dynamic web applications has its own limitations due to which vulnerability detection is not accurate. 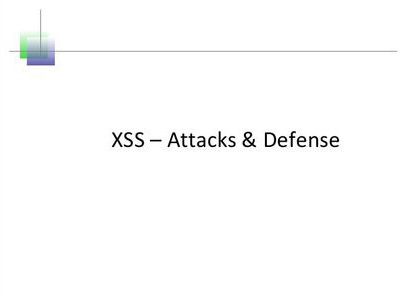 Hence, manual review of applications plays a key role in vulnerability detection. We can make some tools which would reduce the time for some tedious and time consuming processes. Amongst mobile attacks and device enumerations, local storage is a key target for attacks and a potential exploit by information harvesting. It affects the security and privacy of the user and corporates. FSDroid is an automated program to penetrate and analyse the local storage of the most widely used mobile platform – Android. FSDroid leverages system calls provided in SDK to monitor file system and help in identifying the files/directories that have been modified/accessed by any target applications. It can be installed on an emulator, with an objective to monitor the file system calls and review the content while the application is running in order to discover potential vulnerabilities. Amongst the mobile attack vectors and security weaknesses, local storage and its misuse is considered as a key security concern. 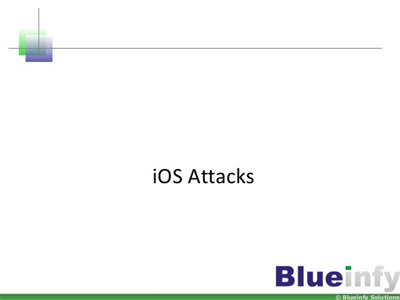 Unlike android, iOS does not provide any API to monitor the file system directly. One needs to dig in to the files/directories to find information stored in local storage across applications. Since looking into each file in the directory is a tedious and time consuming process, it would be helpful to have a simple utility to penetrate and analyse the local storage in an iOS platform. 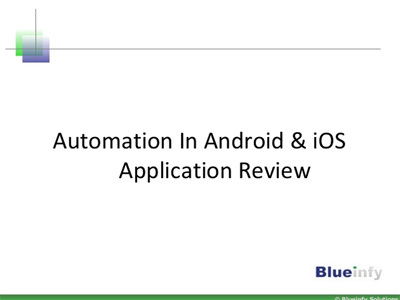 iAppliScan lets you automate the review of the iOS application with passing few parameters. 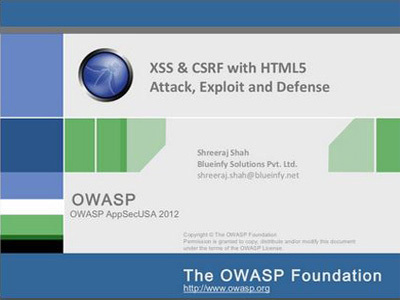 It gives pointers to possible vulnerabilities or weakness of the application. Discovery Tool - By leveraging a search engine this tool helps one in discovering web services on any particular domain or with a certain name pattern. Vulnerability Detection - Using this tool one can enumerate and profile web services and then follow it up by auto auditing (.NET only). A .NET proxy is created dynamically for the audit module. One can carry out vulnerability scans for data types, SQL injections, LDAP/command injections, buffer checks, brute-forcing SOAP etc. along with leveraging regex patterns for SOAP analysis. Fuzzing - This tool helps in fuzzing different Web 2.0 streams like SOAP, XML-RPC, REST, JSON etc. 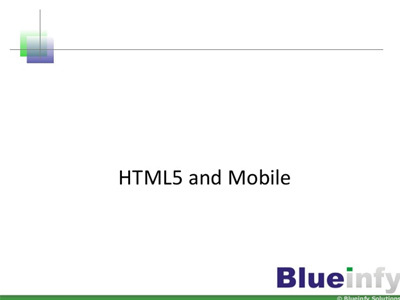 This module helps in assessing various different web services. UDDI Scan - It is possible to scan UDDI servers using this tool for foot-printing and discovery of web services. This tool helps in fuzzing next generation applications running on Web/enterprise 2.0 platform. It can be used with Web2Proxy by harvesting JSON, XML, JS-Object etc. from already profiled HTTP requests. By adding various fuzz loads and injecting them into particular requests, one can encode fuzz load in various forms to pollute/poison Web 2.0 streams. It is possible to analyse responses by using various techniques like response behaviour, stream structure or patterns. This tool contains a sample payload, which along with the attached pdf/slides would help one understand the tool’s behaviour better. This tool helps in assessing next generation applications running on Web/enterprise 2.0 platform. It profiles HTTP requests and responses at runtime by configuring it as proxy. It identifies structures like JSON, XML, XML-RPC etc. along with key HTTP parameters like cookies, login forms, hidden values etc. Based on profile one can take a decision to trap and fuzz requests to identify potential vulnerabilities. This tool needs .NET framework and is tested on Windows platform. AppPrint scans IP range, IP or host for Web and Application servers. It scans port 80 for a particular target and tries to deduce the banner using httprint methodology. This gives a best guessed banner for the web server. In the next step it uses a method of forced plug-in invoke and scan for application server type. 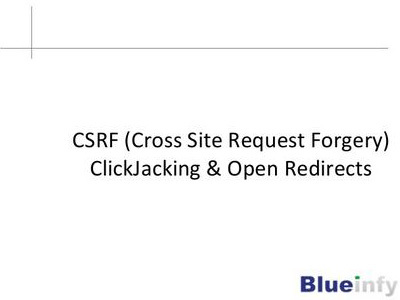 At this point it tries to fingerprint Tomcat, WebLogic, WebSphere, Orion, ColdFusion and Resin. It also fingerprints Web 2.0 libraries and components. It requires .NET framework installed. This is a simple utility which runs against a target site and looks for external references and cross domain malicious injections. There are several sites which get manipulated with these type of injections and are eventually compromised. These sites get registered with stopbadware and other databases as well. This tool helps in the initial scan to look for obvious injections which use <iframe> and <script> tags as defined in the regex file. Ajaxfinger - It helps in Ajax framework fingerprinting, it is possible to identify frameworks like atlas, dojo, GWT etc. using this script. Flashfinger - One can scan a page for RIA component running with Flash and follow-up assessment is possible. It helps in fingerprinting Laszlo framework as well. Scanatlas - This script will scan page for atlas reference and discover hidden Web Services. Research shared in the form of popular books, blogs and articles published in leading journals and magazines as well as quoted on BBC, DarkReading, MIT Technology Review, Security Week, Bank Technology, etc. 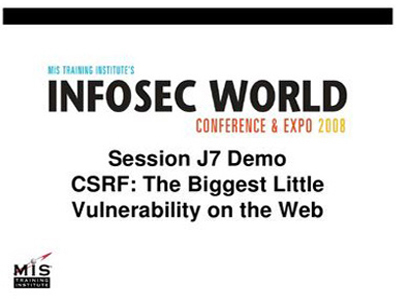 Papers presented at RSA, BlackHat, OWASP, HackInTheBox, Infosec World, Syscan, DeepSec, AusCert, OSCON, EUSecWest, etc. 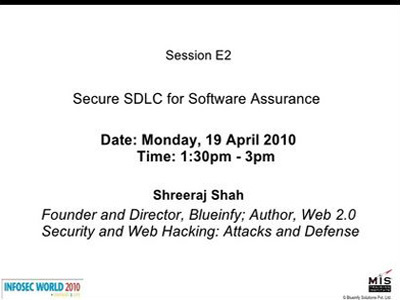 Shreeraj Shah, Founder and Director of Blueinfy Solutions, is the security research head and strategic direction guide at the company. As the research head, he monitors the latest developments in the field and researches new probable vulnerabilities, exploit opportunities and risk exposures that may arise to customers. His research guides the development of new assessment tools and the up-gradation of assessment processes at the company. To remain updated with applications and their assessment to help him in research thinking, he also works hands-on with the assessment teams on some applications. 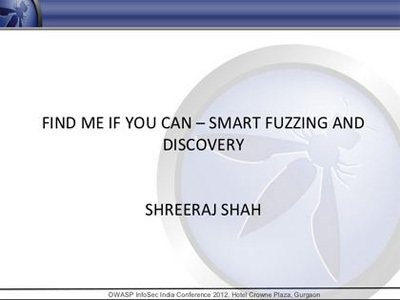 Some of his research is also published through the Blueinfy blog. He has more than 20 years of experience in the software security domain. He has earlier worked with Foundstone (McAfee), Chase Manhattan Bank and IBM in the security space. He is the author of many popular security books like “Web 2.0 Security”, “Hacking Web Services” and “Web Hacking: Attacks and Defense”. In addition, he has published several advisories, tools, and whitepapers, and has presented talks and/or trainings at numerous conferences including RSA, Blackhat, AusCERT, InfosecWorld (Misti), HackInTheBox, OSCON, Bellua, Syscan, ISACA etc. His articles are regularly published on Securityfocus, InformIT, DevX, O’reilly and HNS. His work has been quoted on BBC, Dark Reading, Bank Technology, MIT Technology Review and SecurityWeek as an expert in the area of HTML5, Web 2.0 and Browser security. He was one of the founders of eSphere Security, iAppSecure and Net-Square in the past and is associated as advisor to some companies too. Hemil Shah, Co-CEO and Director at Blueinfy, is responsible for customer engagement, assessment implementation and customer communication. He focuses on development and continuous up-gradation of assessment processes and systems to ensure delivery of best-in-class assessment quality. He is very much a hands-on person who works very closely with teams to ensure that customer applications are assessed accurately with maximum coverage in width and depth. He also contributes regularly to Blueinfy’s blog. He has more than 15 years of experience in the software security industry. 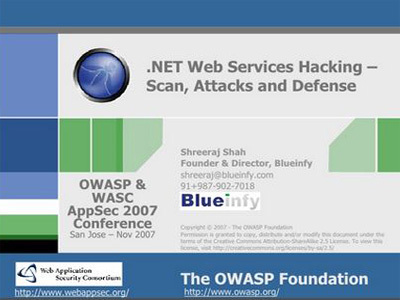 Prior to joining Blueinfy, Hemil worked for HBO and KPMG, where he was a key member of their internal software security team. Earlier to that, he also worked for IL&FS and Net-Square, being involved with software security assurance and assessment respectively. He has delivered talks and/or trainings on mobile and application security at various respected conferences, such as HiTB, OWASP Europe, InfoSec World, DeepSec, SyScan and BreakPoint to name a few. He is one of the founders of eSphere Security and mentor at ExtenedITArms. Amish Shah, Co-CEO and Director at Blueinfy, is the technical head at the company. He is responsible for the development of assessment tools, for architecture and code security review and for technical resolution of all challenges that come up in the assessment process. He brings a unique combination of project management, software development and instrumentation skills in addition to software security assessment, with over 20 years of experience in network/web application vulnerability assessment, penetration testing, design, development and industrial automation. His experience includes development of automated vulnerability scanners, web application firewalls, Linux/win32 system programs, kernel level drivers, Internet Explorer plug-ins and web server plug-ins amongst many others. He has strong expertise in reverse engineering and source code audits. In addition, he has published an advisory on Microsoft research web site and has also contributed to "Secure Coding in C/C++" article on SANS. He works to innovate and build scalable smart technologies that enhance the accuracy and effectiveness of discovering vulnerabilities and weaknesses in applications by enabling wider and deeper application security analysis. Research is an area of key importance at Blueinfy. It feeds our assessment and training capabilities on one hand and builds on inputs received from them on the other. Thus, research, assessment experience and training reinforce each other enabling us to remain at the cutting-edge in the software security domain. 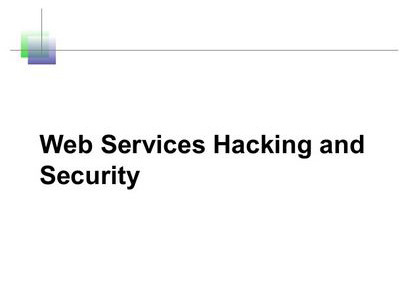 Security analysis of new web/mobile technologies with a view to uncover probable vulnerabilities and weaknesses. Development of focused web and mobile application exploits and techniques to validate such new vulnerabilities/weaknesses and estimate their risk impact in the customer environment. Customer specific vulnerability research customized for their technology stack and code base to help build defenses at depth for them.